My baby girl's birthday was two weeks ago. And by baby, I mean she's the baby of the family, but by no means a baby. (You know you're getting old when your kids are approaching middle-age. Yeesh!) So we celebrated her birthday and her dad's birthday last Saturday on his birthday. Tacos were on the menu along with lots of margaritas. Needless to say, a fun time was had by all! This is the card I made for her. She hasn't outgrown liking glitter (just like her mom! ), so naturally there had to be some glimmer paper on the card. And for extra shimmer, I colored the blossoms with Clear Wink of Stella. Hello, and welcome to another episode of "Things I Can't Live Without from Sale-A-Bration" also known as the Tour de Freaks blog hop! And, in case you haven't figured it out already, the theme this month is Sale-A-Bration. 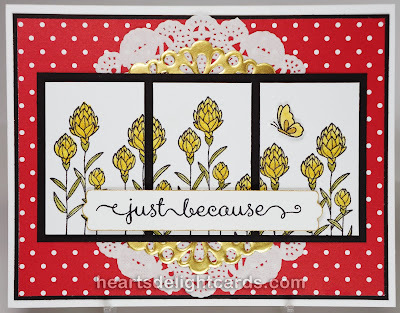 We are focusing on the wonderful FREE items you can get (with qualifying purchase) and Stampin' Up! has completely outdone themselves with this year's offerings! If you started the tour at the beginning, you just landed here from Wendy's blog, Wickedly Wonderful Creations, where I'm sure she dazzled you! I am stop number two (of sixteen) this month. Just click the links at the bottom of each blog to travel on to the next one and eventually you'll come full-circle. There were three new items added this week to kick off the second half of SAB and I'm showing two of them, along with some other SAB items. 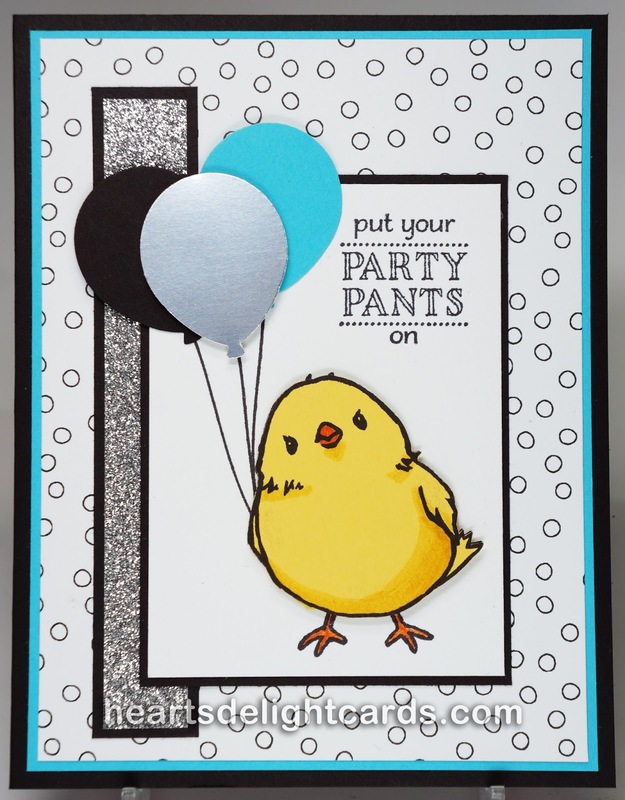 So, without further ado, let me introduce the Party Pants stamp set and the AWESOME Metallics Glitter Tape! The tape is available in gold, silver, and WHITE....which can be colored any color you want with ink and sponge daubers! And that's what I did to make the blue banners on the card below. 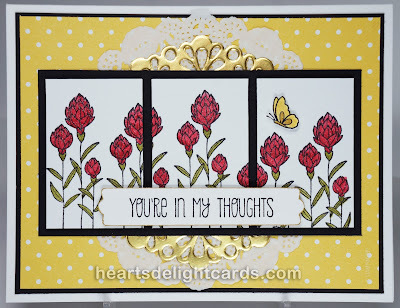 The background paper is from the Wildflower Fields DSP pack, also a Sale-A-Bration item. 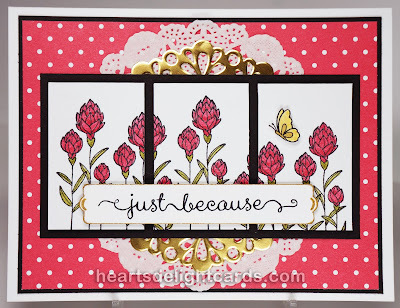 It's so hard for me to choose a favorite stamp set from SAB, but if I had to pick just one, I'd say it would probably be the very versatile Flowering Fields. You can create so many different looks with it! 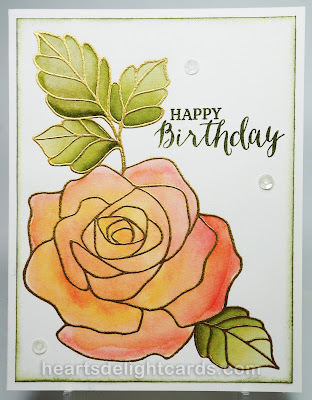 The background on this card was created with marker scribbles on a clear block, which was lightly misted and then stamped on watercolor paper. Lastly, is a CAS card using the What I Love set. 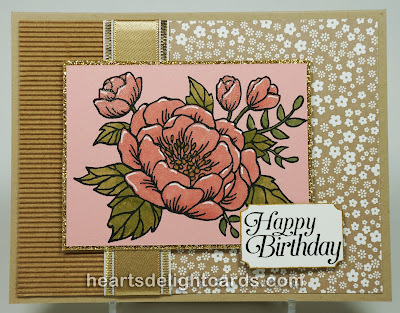 It's a three-step photopolymer stamp set, and makes the lovliest flowers with depth and dimension! And, of course, I couldn't resist the glitter tape. Can't help it; I'm part Magpie! That's all for me this month. I hope you saw something that made one of these SAB rewards a "must have" item on your list! Now hop on over to Barb Mullikin's blog, Barb Stamps, and see what goodies she's cooked up for you! Today is the last day you can get the first set of three 'limited time only' Sale-A-Bration items. These are on pages 16-19 of the flyer. 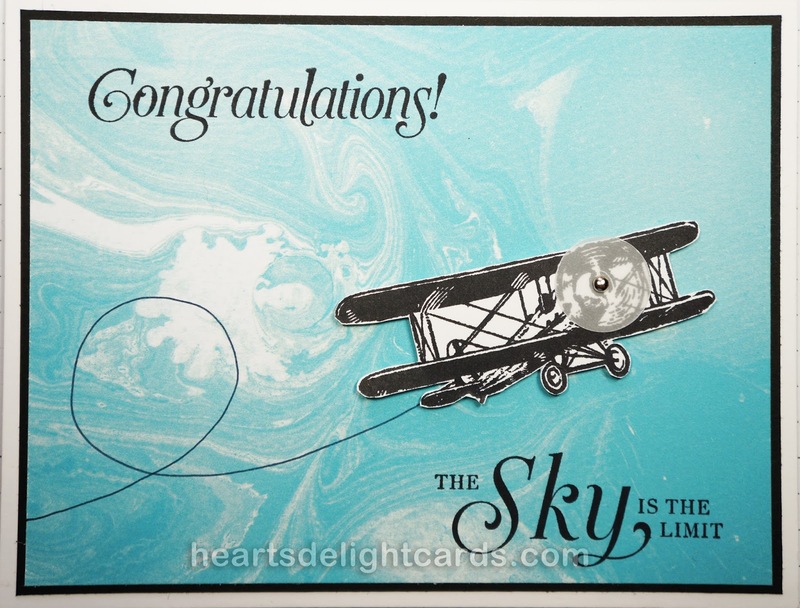 The lucious Perfectly Artistic DSP, used on both of these cards, as well as the Hello stamp set and the Sky is the Limit stamp set won't be available after today! 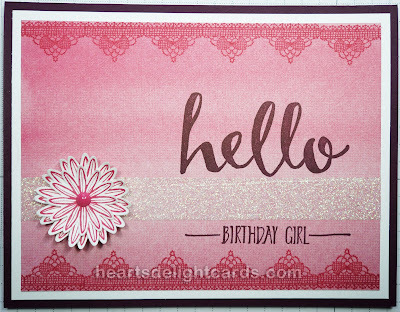 While I was working on the Hello card, I had Adele in my head. "Hello from the other siiiide." So, I tried to think of something else, and Lionel Ritchie popped in, instead. "Hello, is it me you're looking for?" Aack! Then Neil Diamond took his place. "Hello again, hello." And THEN Pink Floyd stopped by for a visit! "Hello, is there anybody in there?" Aparently not, because I have room for all YOU people! Get well wishes for a friend who just underwent a double-bypass and valve replacement heart surgery. Yikes. He's an old cowboy, and ranch manager of a HUGE ranch in the Texas panhandle. He's lived and worked all over the west, and loves Montana just as much as my daddy did. 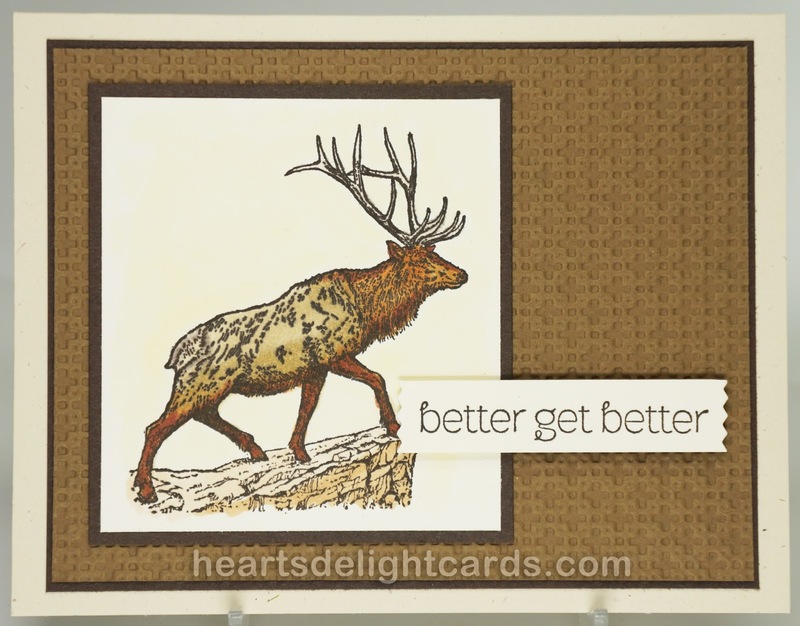 Elk are plentiful up there, so I thought that would be a good choice for his card. I kept it simple, since he's definitely not a frou-frou type of guy. Image panel: Very Vanilla 3" x 3-1/4"
Mat behind image: Early Espresso 3-1/4" x 3-1/2"
Dry embossed panel: Soft Suede 3-7/8" x 5-1/8"
Mat behind embossed panel: Early Espresso 4" x 5-1/4"
Card base: Naturals Ivory (ret.) 5-1/2" x 8-1/2", scored and folded at 4-1/4"
Emboss the Soft Suede cardstock with your choice of embossing folders. I used the retired Square Lattice folder. Fasten it to the larger Early Espresso mat with adhesive, and then adhere both to the card base. Stamp elk on Very Vanilla using Memento ink. Color with alcohol markers. (If using water-based ink, stamp with Basic Black Archival instead.) Fasten image to smaller Early Espresso mat with adhesive, and then adhere both to the card. 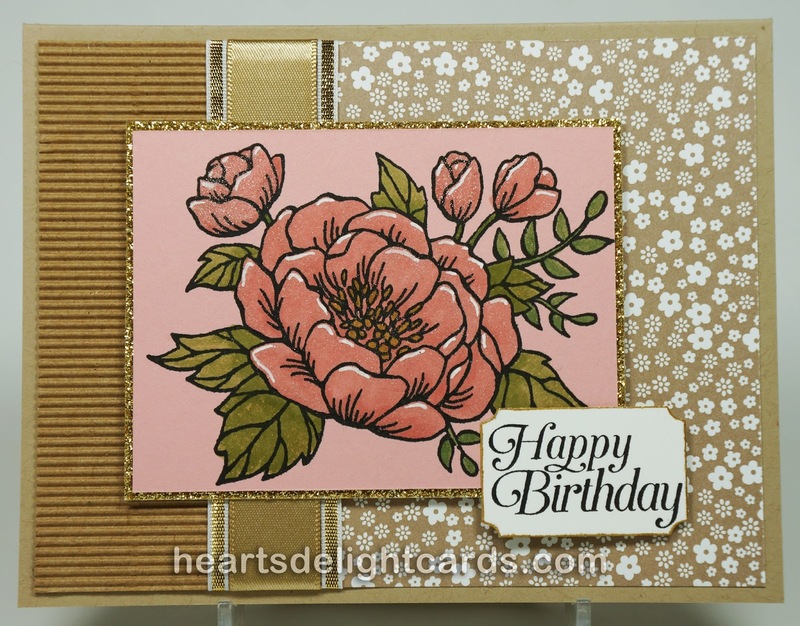 Stamp greeting on 1/2" strip of Very Vanilla and use Washi Label Punch to finish ends (slide in from back of punch and do one end at a time). Adhere to card using Stampin' Dimensionals. In this case, TOY doesn't mean a plaything; it means Thinking Of You. Although, I suppose the fun of making a card is almost like playing! Besides receiving birthday and Christmas cards, which one can almost expect every year, it's really special to receive a card for no other reason than the person sending it just wanted to say "Hi, you're in my thoughts." What a wonderful feeling it is to be the recipient of a totally out of the blue and unexpected random act of kindness! With that in mind, I sent these four cards out this week to put a smile on a few faces. It makes me happy to make cards (my craft room isn't called "my happy place" for nothing, you know! ), and it makes me happy to make other people happy. Stamps, ink, and paper can be a pretty powerful thing, when you think about it. Image panel: Watercolor Paper 2-1/8" x 4-1/8"
Mat behind image: Basic Black 2-3/8" x 4-5/8"
Mat behind DSP: Basic Black 4" x 5-1/4"
Card base: Whisper White Thick 5-1/2" x 8-1/2", scored and folded at 4-1/4"
Stamp images and color, using Blender Pens and ink pads, on watercolor paper. Add some Clear Wink of Stella, if you want to fancy it up! 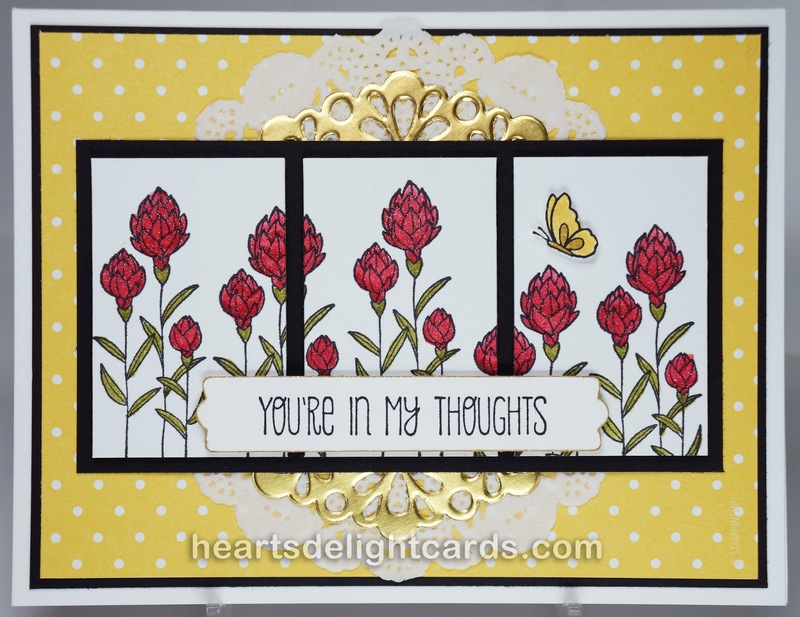 Cut into thirds (1-3/8" wide) and pop up on smaller Basic Black mat using Stampin' Dimensionals, spacing them apart evenly. There should be about 1/8" Basic Black showing all around. 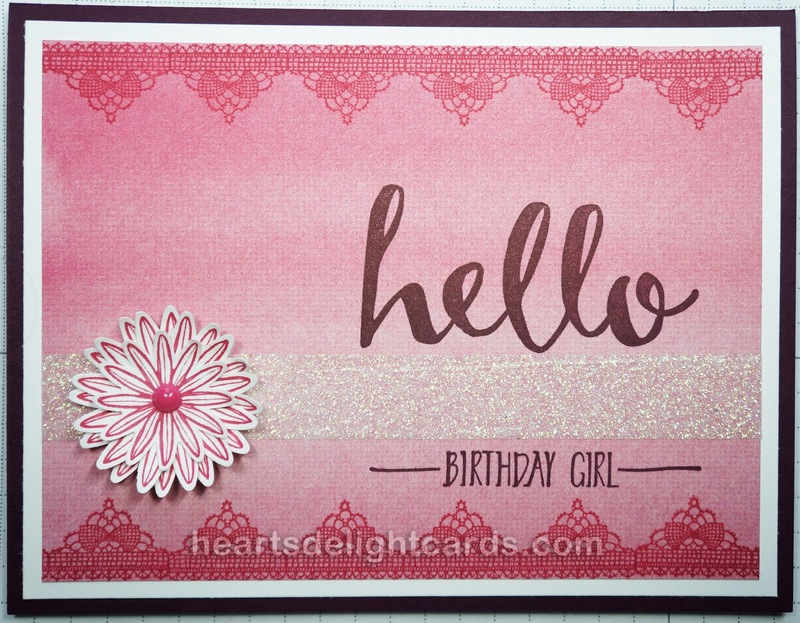 Stamp greeting on 1/2" wide strip of Whisper White. I used the Modern Label Punch (retired) and slipped the cardstock in from the back to trim each end so the label would be longer than the punch allows. Adhere DSP to large Basic Black mat and then to card base. Center and attach Tea Lace Paper Doily to DSP. Cut Metallic Foil Doily in half, center and adhere to back of image mat, then attach to card base. Stamp butterfly on scrap of Whisper White, color and fussy-cut. 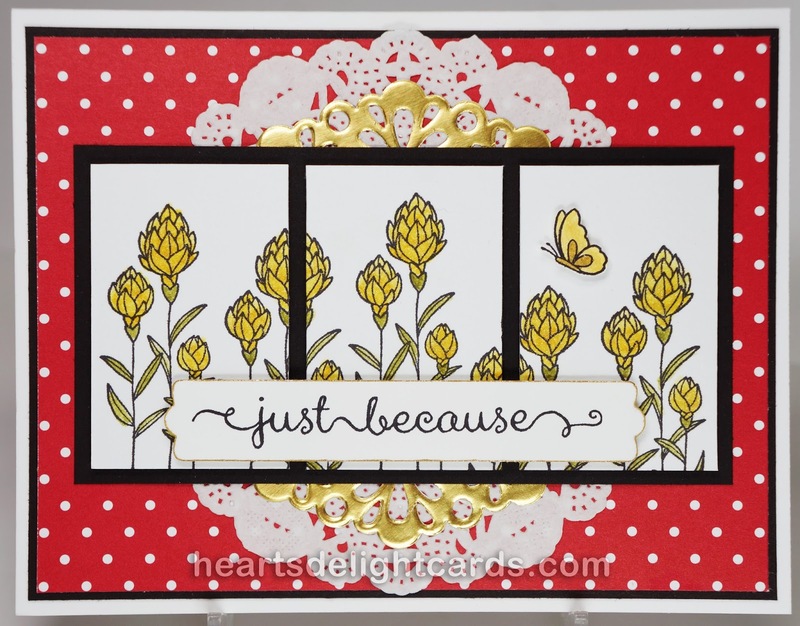 Pop butterfly up on half a Stampin' Dimensional. Edge greeting with Gold Wink of Stella and pop greeting up on Dimensionals. Believe it or not, this is one of the easiest cards to make! 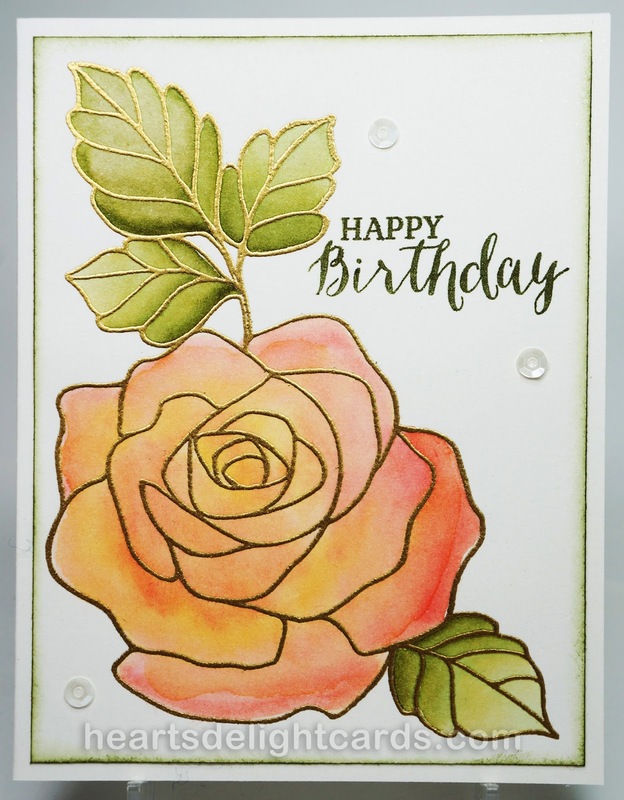 If you know how to heat emboss (the gold outlines of the rose and leaves were heat embossed), and you can color somewhat between the lines, then you can make this card. If you don't have watercolor paper, then Shimmery White cardstock will do, which is what was used here. 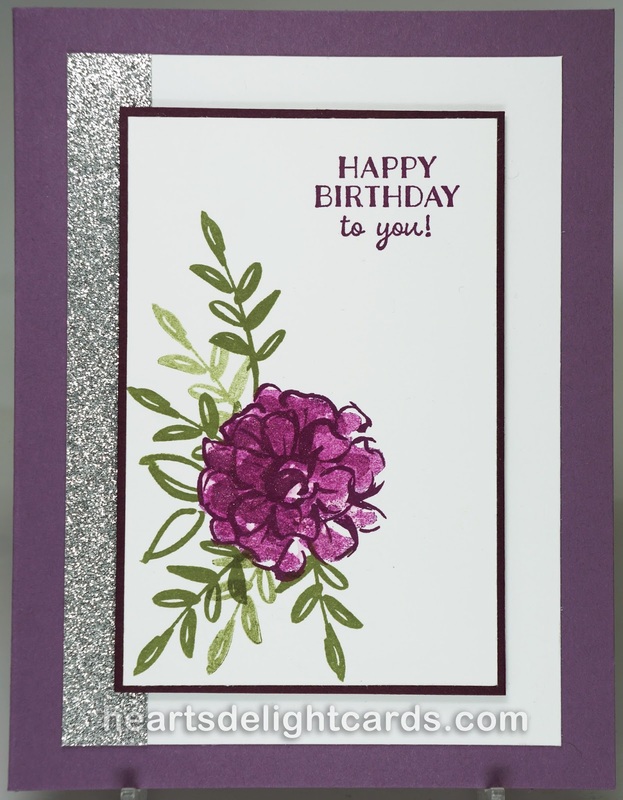 Make sure you use an Embossing Buddy to get rid of any static on the cardstock. Trust me, it makes a big difference! Image panel: Shimmery White 4" x 5-1/4"
Card base: Whisper White Thick cardstock 5-1/2" x 8-1/2", scored and folded at 4-1/4"
Rub the "buddy" all over the Shimmery White CS, and blow off any dust. 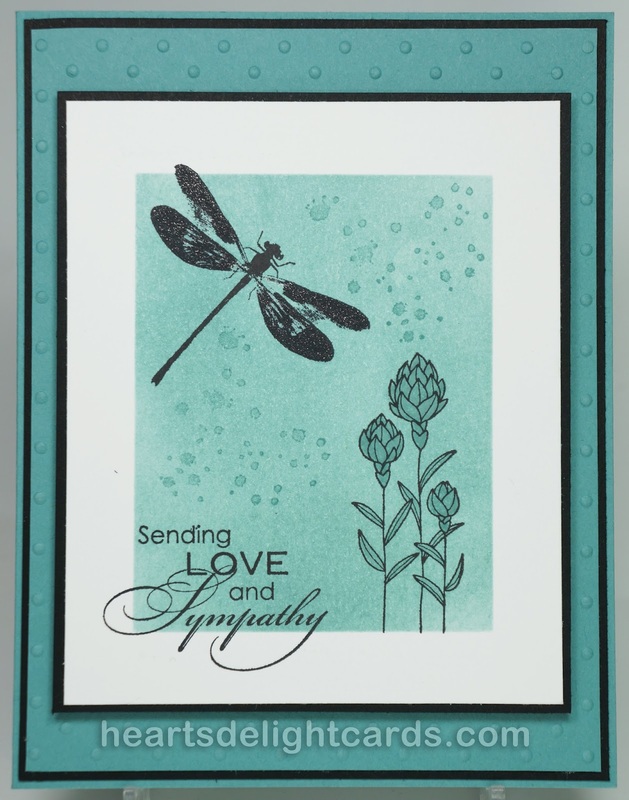 Stamp image using VersaMark Ink, then pour gold embossing powder generously over stamped lines. Dump excess powder off image and onto scrap paper, then funnel back into jar. Tap back of cardstock over a waste basket to knock off any loose bits. Heat with Heat Tool until powder has melted. Squeeze the top and bottom of your (closed) ink pads together to leave some ink on the lids. (They make a great palette to use with Aqua Painters or Blender Pens!) 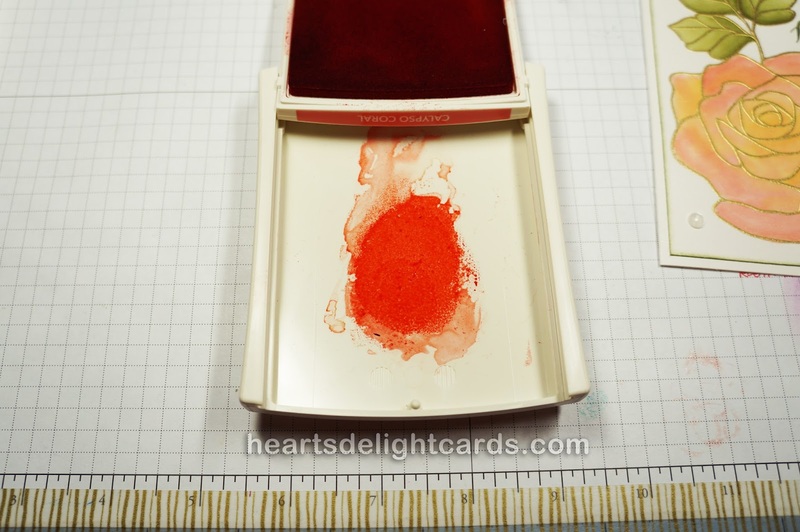 For this card I used Calypso Coral, Crushed Curry, and Mossy Meadow. Now, let's get painting! Have a paper towel handy for blotting your brush, if needed. Using an Aqua painter, squeeze the barrel until the brush gets wet, but not drippy. Working on just 2 or 3 petals at a time, moisten them with water from your brush, then pick up some of the color from the lid of your Calypso Coral ink pad and spread it around on the moistened areas. This is watercoloring, so you don't want it to be perfect. Some areas will be a little darker and some will be lighter and that's okay! Continue adding more petals, a few at a time, then go back over some areas with a bit of Crushed Curry to give them a glow. Now do the leaves the same way using Mossy Meadow. This is where practice really does make perfect, so don't be afraid to play around with different amounts of wetness and ink on some practice images. You'll get the hang of it! It really is amazing the shades you can get from one color, from the palest hint of color to the deepest, boldest shade. You can always go back and add more color if it isn't dark enough for your liking. Or if it's too dark, you can blot some of the color off (before it dries, or course!). Let the image dry and then ink the idges with a Stamping Sponge and some Mossy Meadow ink. Adhere to card base, and add a few sequins (the Fine-Tip Glue Pen is perfect for this). Aaaand, you're done! Yep, today is the day I celebrate the thirty-first anniversary of my thirty-first birthday. Yeesh, how did THAT happen? I'm officially old enough to collect Social Security, but I don't feel like I've passed my forties yet! So this is a quick, fun card that you can either stamp, as I did, or use Washi Tape for the cake layers and make it even quicker. The clear photopolymer stamps do make it easy to align the layers, though. I chose the colors from the Wildflower Fields DSP, which is a Sale-A-Bration freebie. Speaking of Sale-A-Bration, there are three limited time items ending on the 15th and three new items starting on the 16th! I can't wait to get my hands on that glitter tape (said the Magpie, lol)! I am finally starting to use the Washi Tape I have, so some shiny, glittery tape is going to be put to good use! 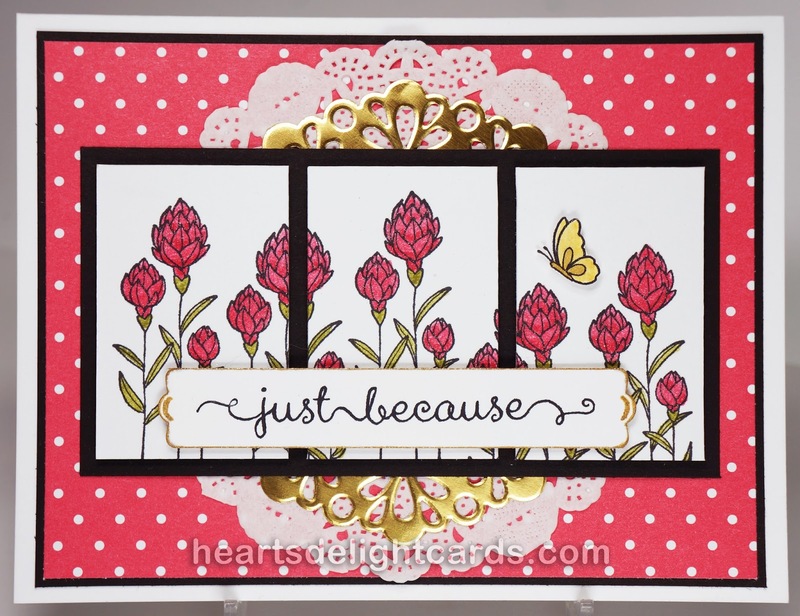 Image panel: Whisper White 3-1/8" x 4"
Mat behind image: Hello Honey 3-3/8" x 4-1/4"
Wildflower Fields DSP 1-3/8" x 5-1/4"
Stamp the cake plate in Blackberry bliss, the bottom cake layer in Hello Honey, the middle layer in Calypso Coral, and the top layer in Old Olive. The banner at the top is also Blackberry Bliss. 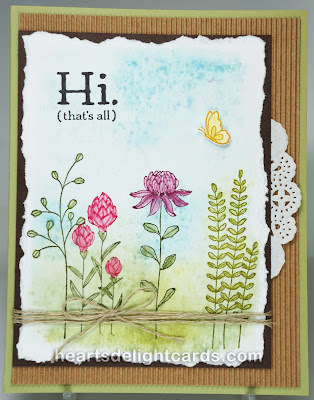 Punch a flower using the Itty Bitty Punch Pack and a scrap of Calypso Coral. 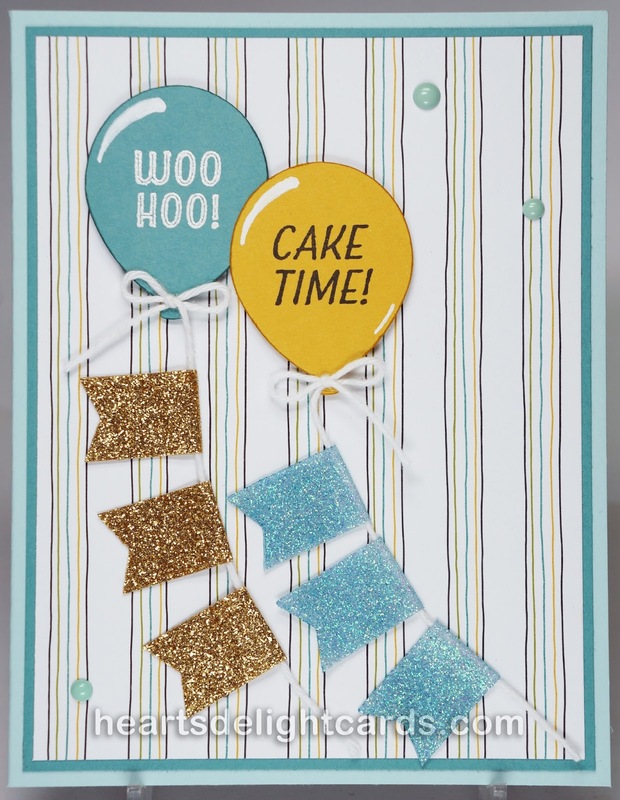 Adhere to cake and add a Rhinestone Jewel. 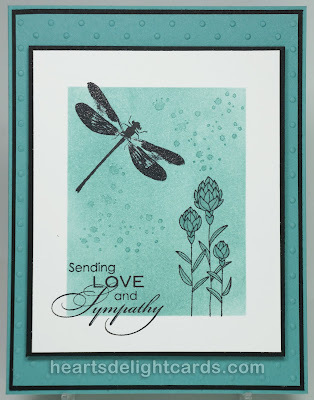 Fasten the DSP to the card base, then the stamped, matted panel, using SNAIL or your adhesive of choice. Add the Blackberry Bliss Washi Tape to the corners. 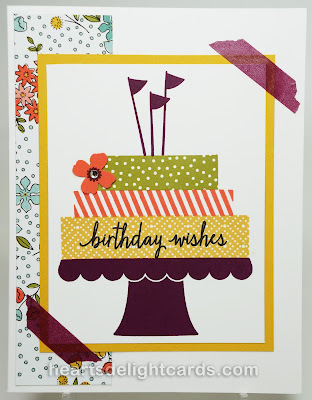 Stamp "Birthday Wishes" in Basic Black Archival on the bottom cake layer. DONE!